Bosch MES25A0 Juicer Powerful juice extractor works on whole fruits without the need for pre-cutting: quick, easy to use and clean Extra-large filling tube for fruit (whole apples) and vegetables — no pre-cutting necessary Stainless steel microsi..
Bosch MES25C0 Juicer Powerful juice extractor works on whole fruits without the need for pre-cutting: quick, easy to use and clean Extra-large filling tube for fruit (whole apples) and vegetables — no pre-cutting necessary Stainless steel microsieve f..
Extra- large filling tube for fruit (whole apples) and vegetables- no pre- cutting necessary Stainless steel microsieve for optimum juice extraction Practical spout with DripStop prevents dripping after extraction and keeps working top clean Extremely safe: Motor only runs i.. 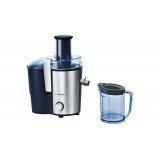 The VitaExtract slow juicer with MixControl to adjust thickness of your healthy juice at your taste. 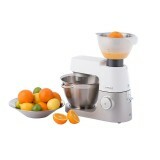 ..
Citrus fruits are an excellent source of Vitamin C and this handy tool will extract the very last drop of juice from an orange or grapefruit into the 600ml bowl, leaving all the pith and pips behind, ready to pour into glasses. Try it for a delicious start to the day or a tangy addition to cake a..
About the Continuous Juicer JE680 The all-white, Continuous Juicer JE680 belongs to our modern and stylish True collection. 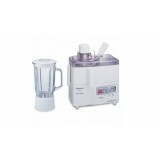 The high gloss, white plastic finish and efficient 700W motor give you the assurance of the Kenwood brand and an efficient addition to your kitchen. 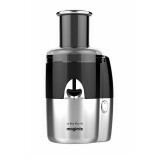 ..
Kuvings Slow Juicer B6000 ..
A juice extractor, a smoothie-maker, and a citrus press all in one machine, the Magimix Le Duo Plus XL is capable of producing 66% more vitamin C and 86% more yield than a traditional juicer, and 81% more antioxidants than a slow juicer. 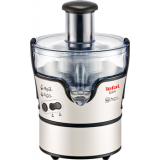 HIGHLIGHTS Induction Motor – ..
Mill Cup Built- in Circuit Breaker Safety Lock Stainless Steel Spinner ..
Offers two functions in one convenient appliance. 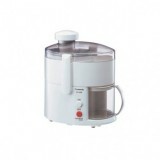 Makes soups, pureed sauces, smoothies and juices. 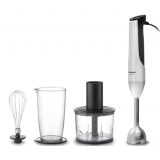 Comes with a generous 1,000ml glass container for large servings, and sharp steel cutting blades that tear through food for an even consistency. Easy-Operation Big Button. 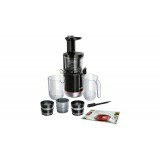 ..
4- Blade Blender (2 Main Slice Blade & 2 Stir Slice Blade) Drive Control (High, Pulse, Low) Attachments (Chopper, Whisk) ..
Value for money entry level juice extractor. Strong Peformance at Low Cost. 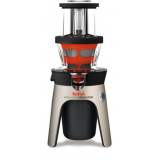 ..
For full flavors and smooth textures Thanks to its turning screw, the Infiny Press Revolution uses constant yet gentle pressure to extract all the juice from each ingredient. 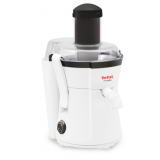 Its slowly rotating mechanism exerts delicate pressure to extract the best fr.. 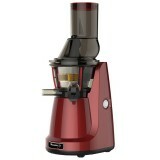 Cold Pressing, a new generation of juicer! 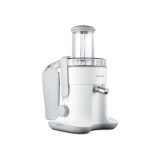 Infiny Juice is a new generation of juicer allowing you to prepare smooth juices, full of goodness and flavours. 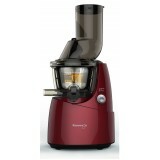 Infiny Juice and its intuitive assembly and ergonomic use. 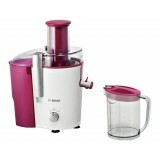 A silent technology to enjoy juicing, any ..
Daily juicing made successful whatever the fruit! 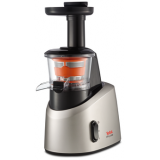 ELEA Silver Premium You will obtain optimum results with its 2 different speeds and a large quantity of juice with its 0.7L capacity pulp tank. Finally you don't need to precut your ingredients thanks to the wide..